2 Remember how the LORD your God led you all the way in the desert these forty years, to humble you and to test you in order to know what was in your heart, whether or not you would keep his commands. 3 He humbled you, causing you to hunger and then feeding you with manna, which neither you nor your fathers had known, to teach you that man does not live on bread alone but on every word that comes from the mouth of the LORD. 4 Your clothes did not wear out and your feet did not swell during these forty years. 5 Know then in your heart that as a man disciplines his son, so the LORD your God disciplines you. In the passage above, Moses reminds the new generation of Israel of their recent history, and of the character of their God, so that they will continue to follow the Lord, and not make the mistakes their ancestors did. Why were the Israelites led through the desert for so long? One of the reasons that we are given here, is so that they might be tested and disciplined by their God. “and then feeding you with manna, which neither you nor your fathers had known, to teach you that man does not live on bread alone but on every word that comes from the mouth of the LORD. God’s people are taught by their hunger that they follow a God who can and does miraculously provide. But they also learn the precious lesson that they need more than physical bread! I am finding that 25 is a scary age to be. I am no longer a teenager or a student. I am starting to see that God does not always work to my time frame, or in line with my ambitions. But He is the same God who faithfully led his people through the desert, teaching them about his power, his love, and his holiness. He used the desert years as a school of discipline for his people the Israelites. And he does the same today with you and I.
I guess we won’t fully know whether we love and trust God until we face situations where we know we can’t provide for ourselves, and times when we don’t know where to go. Situations where we must trust God for his provision, for the right outcome, for steadfast faithfulness in desert times. These times are uncomfortable! They expose us – our weak faith and shaky obedience. But they also set the stage for God to act, and for us to witness his steadfast love and faithfulness. But there is more. There has to be more, because we, like Israel, fail miserably! We don’t trust God to provide, we continually put him to the test, we get angry, and sometimes we are deliberately disobedient, turning our backs when our plans and timings are not kept by our sovereignly wise Father. Chapter 4 takes us to the scene of Jesus temptation in the wilderness. Luke describes Satan’s repeated testing of Jesus in this time. The sharp-eyed will notice that Jesus’ situation in many ways, mirror’s the Israelites’ 40 years spent wandering in the desert. 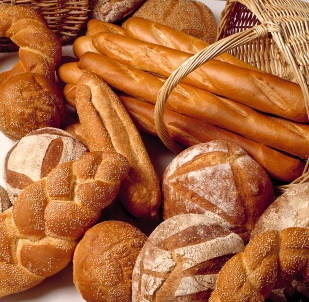 Jesus must resist satisfying his hunger with bread of his own creation, in order to obey his Father’s will. Unlike the Israelites, who time after time prized their own stomachs above obedience and faith, in the God who had thus far provided their every need! In fact Luke makes this connection for us, as Jesus quotes three times from Deuteronomy, reminding Satan of God’s commands, as originally given to his disobedient desert wanderers. (Check out Deuteronomy 6:10-18 and 8:3!) In every one of Satan’s temptations, Jesus is obedient to his father. At every point where is Israel has failed – where we fail, Jesus succeeds! This is our ultimate hope and peace! The whole gospel of Luke points to how perfectly Jesus succeeds everywhere his people have failed. He is the perfect saviour and substitute for a sinful people, then and now! A lesson that the Israelites were meant to learn in the desert, and that every Christian needs reminding of now. But praise God that Jesus obeys perfectly in our place!